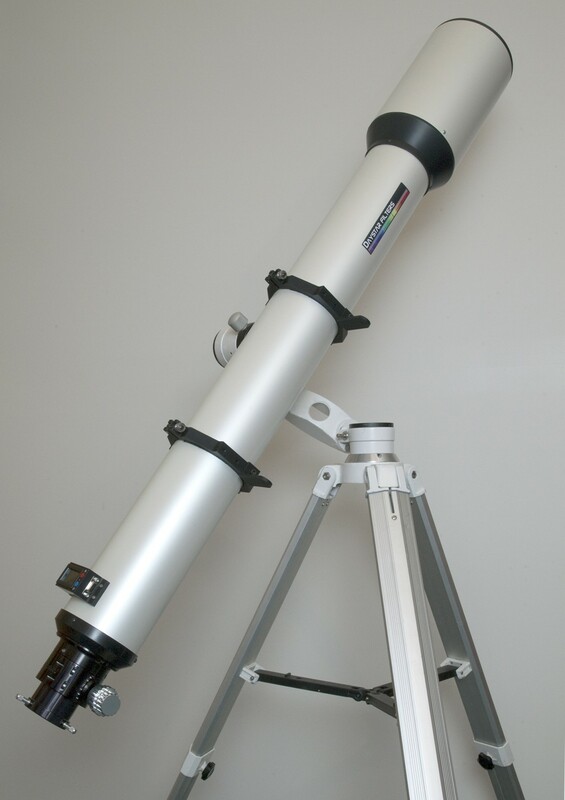 Complete, 127mm aperture fully integrated Solar Telescope. Dedicated design offers Quantum control completely built-in for easy set-up and operation. Quality 127mm doublet objective by ISTAR Optical. Focal Length: 4064mm Digital readout and precision tuning control. Accurate to 0.01Å in center wavelength. 12VDC Uses 12VDC power can run off batteries. Same Quantum Control software capable. SE grade. Robust, 2 inch steeltrack and rack and pinion focuser for added strength. Fully integrated DayStar filtration with classic DayStar Quantum control. Includes mounting rings with Vixen dovetail. Includes zero power solar finder 'alignment keys'. Color Options: White or Prism.